The last time we saw Tony Stark he was drifting off in space, recording an emotional farewell to Pepper Potts while his oxygen ran out. And though we still have a little while to wait to see Tony’s ultimate fate in Avengers: Endgame, it seems one movie studio in China has already resurrected the guy, given him a new title, and absorbed him into Chinese folklore. Armored Warfare God: Sun Wukong is a modern adaptation of the 16th century Chinese story Journey to the West, which follows the Monkey King, Sun Wukong, as he travels through heaven and hell. In the original, Sun Wukong is a monkey born from a stone, who acquires his powers through Taoist practices. The new movie, however, has given the classic tale a modern makeover, giving the hero a high-tech armoured suit, with similar lights in its palms and chest that wouldn’t look out of place in Robert Downey Jr’s wardrobe. It’s not just the suit that is visually similar, however. In the trailer alone, there are some sequences that bear a striking resemblance to some of the Iron Man action. The mid-air battles, the helpful, Jarvis-esque computer, the glowing chest lights, and, in one sequence, a suit that seems to fly to its user through a warehouse and assemble itself on his body. Iron Man 3, anyone? Speaking of Iron Man 3, at the end of the trailer we also see the hero’s love interest captured by the film’s villain, only for her skin to start glowing as if she has acquired powers of her own. So it seems they’re not just resurrecting Tony Stark but Pepper Potts too. 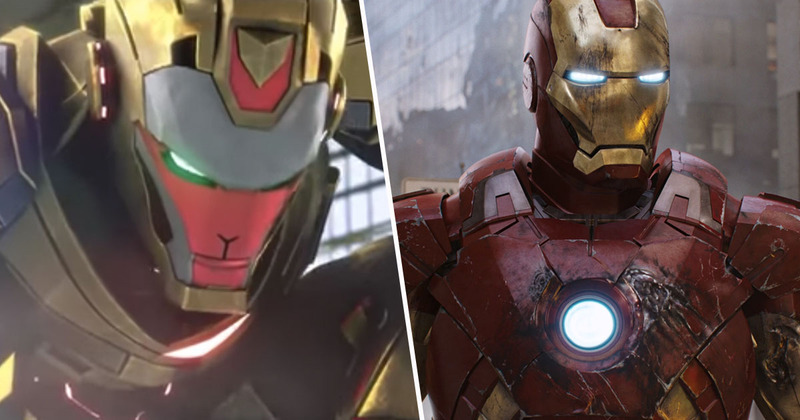 The production team behind the film claim that they were inspired by Iron Man, but also listed Transformers and the Japanese franchise Gundam as other sources of inspiration, according to Abacus News. In a behind-the-scene video, the team behind the movie explain they are presenting ‘Chinese-made smart armour’. We can make armoured heroes that belong to China. No matter how difficult the process is, we’ll carry with us our childhood dreams, presenting to the world a Chinese-made smart armour. It seems Chinese fans of the Marvel franchise weren’t happy about the new film, however, with many negative comments appearing on the Chinese blogging site Weibo. That he is. And though the trailer for Avengers: Endgame may suggest Tony’s ultimate fate, can we really trust it? The trailer implies that we are seeing Tony adrift in space at the beginning of the next film. But what if we are seeing him at the end, after all the action has gone down, and the Avengers have sorted out that big guy Thanos? Also there’s all these time travelling theories floating about, so I’m not quite sure how Armored Warfare God will fit into the Marvel Cinematic Universe just yet. Armored Warfare God: Sun Wukong is released in China on Tuesday, December 18. Avengers: Endgame hits cinemas April 24, 2019.